Photo: McLaurin-Roper-McColl Farmstead, ca. 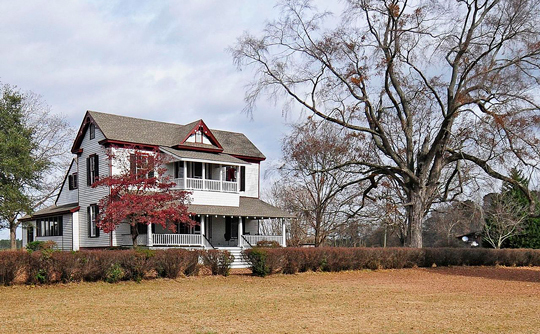 1826, Lauren Willis Road, Clio, SC. Listed on the National Register of Historic Places in 2012. Photographed by User:Bill Fitzpatrick (own work), 2012, [cc-by-3.0 (creativecommons.org/licenses/by/3.0)], via Wikimedia Commons, accessed December, 2016. Marlboro County administrative offices are located at 205 East Market Street, Bennettsville, SC 29512; phone: 843-479-5600. Marlboro County was created in 1785 and named for John Churchill. Churchill was the first Duke of Marlborough of Oxfordshire, England.